If there’s one positive thing that 2016 should be remembered for, it’s the abundance of great games. There were so many games out there and so little time to play them all, so it’s time for me to give nods to games that I should have played in 2016. 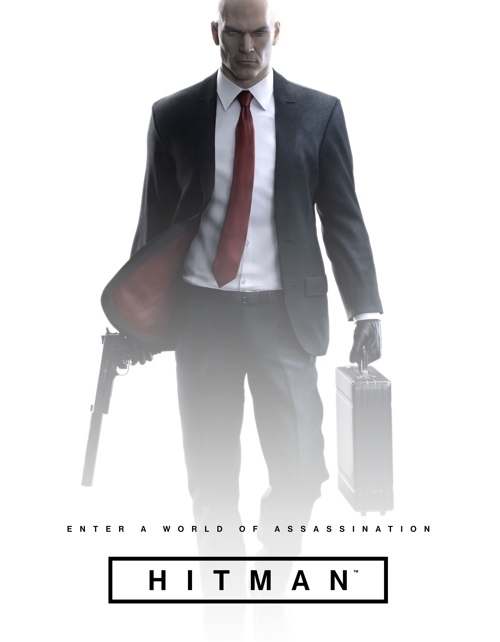 I’m a long time Hitman fan. I was hooked with Silent Assassin, honed by Contracts and impressed with, the last great entry to the series, Blood Money. I didn’t hear many kind words for Absolution and thus I thought the series’ may have lost its way. Needless to say, I was wrong and this year’s Hitman seemed to be the true successor to Blood Money that we’ve all been waiting for. It even won GiantBomb’s Game of the Year. I didn’t agree with the episodic nature of the game. I tend to buy entire seasons after all the episodes are out and people can weigh in on its entirety. I should pick up Hitman now but with so many games left to play, I just don’t know when that will happen. This is especially true considering I own the runner-ups and have yet to play a second of two of them. I started Pokemon Sun but it might as well be still sealed in its box because I just got my Litten. You can tell it’s a good year for games when I have more difficulty whittling down my list of surprises than my list of disappointments. I even had to cheat a bit and cut Black Ops III in half in order to give my list of disappointments three nominees. Dear Esther was one of my first forays into the “Walking simulator” genres. It was beautiful, fascinating and I felt encouraged to explore a space. Everybody’s Gone to the Rapture seemed to following down the same path as Dear Esther but it became the deliberately slow movement speed and ugly performance issues ballooned to the point where I just didn’t care if I finished it or not. The plodding movement speed ran against the exploratory nature of the game which is insane when that’s the only means of interaction. Call of Duty: Black Ops III’s campaign was a significant step down from Black Ops II’s which was surprise considering Treyarch’s track record. However, I wasn’t as bummed out by it as others because I played it in a co-operative setting. As for Xenoblade Chronicles 3D? It’s my fault for even buying this game. I knew it had MMORPG trappings but I felt compelled to buy a New Nintendo 3DS game after picking up the refreshed handheld earlier this year. The surrounding praise didn’t help but I should have known better. I’m more disappointed at myself than the game, really. Soccer with cars. I heard rumblings about Super Acrobatic Rocket Powered Cars being a fun game I didn’t bother pursuing it. Rocket League was given away through the PlayStation Plus Instant Game Collection and if it wasn’t for the slowish summer season and the fact that it was “free”, I may have missed out on this simple and incredibly deep game. It’s a game that comes closest to matching the spirt of soccer. I wasn’t controlling a player who manipulated the ball based on his dribbling ability, I used a car and exerted force to manipulate the ball; it was my skill (or lack thereof) that determined if I scored, how well I blocked, how accurate I passed or how fast I dribbled a ball. It was both frustrating and satisfying. Hitman: Sniper looked like the myriad of other Silent Scope knockoffs on iOS but since it was Square Enix Montreal, I gave it a try and discovered a surprising amount of depth and challenge. I even made my way onto the top 100 or so. I didn’t think Life is Strange was my kind of game but what did I know? It didn’t matter if it starred high school girls, a heartfelt story was great no matter what. After playing Hitman: Sniper, Square Enix Montreal resides on my list of top tier development studios. I loved Hitman Go but I didn’t immediately dive into Hitman: Sniper because it looked like the lame Silent Scope knock offs that litter the Apple App Store. However, when I got the game for free (or very cheap, I don’t recall which), I was proven wrong. Hitman: Sniper was brilliant. The game was not about sniping a target or two and then moving onto the next locale because there’s only one locale to play with. I was taken aback at first but as I was unlocking missions, weapons and abilities, I slowly realized that this was about climbing the leaderboards. The missions were there to teach me how to play the game and what was possible with just a sniper rifle. I learned how to setup accidents and triggered explosions with well placed shots. I was trained in the importance of body disposals and luring unsuspecting guards away from the targets they were protecting. Hitman: Sniper was a game of surprising depth and demonstrated to me that it’s possible to create a score challenge game like this on mobile. I’m not a fan of the Facebook integration but I love the idea of sharing replays. I learned from others to improve my own score without having to head over to Youtube. However, try as I might, I’m stuck in the low end of the top 100 at the time of writing. Still, they successfully infected me with the score hunting bug and that’s no easy feat. I don’t know how to play fighting games. I’ve been playing fighting games since Street Fighter II Turbo on the Super Nintendo but I don’t know how to play fighting games. I know how perform special movies and some basic combos but I don’t know the tactical and strategic side of the game. I know of “footsies”, “pokes” and “zoning” but I don’t know how to use those ideas effectively with even the most basic characters like Ryu. These three videos are great for breaking down the fundamentals and how to apply basic fighting game techniques. It also shows a relatively new fighting game player (Xavier Woods) apply those lessons in live Street Fighter V beta matches and the gurus breaking down the matches. Hungry for more information, I found Gootecks’ video on Ryu fundamentals which re-iterated much of what was taught in the Xavier Woods videos but it was still useful to hear him elaborate and repeat the basics. I highly recommend watching them. The videos shows me how to practice and so I have been putting in the work in the Street Fighter V beta while waiting for matches to appear. I’m faring better but the inconsistent quality in connections and matchmaking makes it difficult to improve. In one match, I’m playing a “Grandmaster” ranked player and the next I’m playing a similarly ranked player with poor connectivity. It’s a beta after all. Besides Street Fighter V, I’ve been playing Rocket League and chipping away at The Witcher 3. On the side, it’s been quite a bit of Hitman: Sniper and Theatrhythm: Final Fantasy: Curtain Call. I’m surprised by Hitman: Sniper but I shouldn’t be. It’s by the fine folks at Square Enix Montreal who made the delightful Hitman GO. As soon as I’m done with Sniper, I’m going to pick up Lara Croft GO which I hear is equally fantastic.